Deep behind the Christmas tree, buried under the presents, lays a cracker like no other. The time Travelling Christmas Cracker. What does it do you may ask? Well it travels in time throughout Christmas day spreading cheer to all those before it! 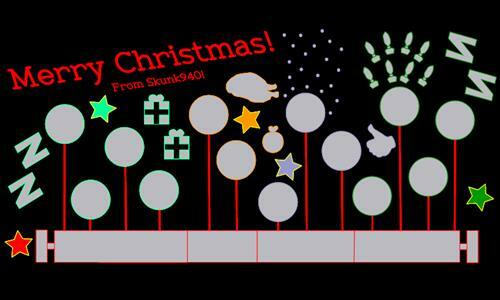 Merry Christmas And A Happy New Year From Skunk940! Review by NinjaNic on 1/6/2014. Interesting map! How did you get the center points to get so centered, or did you just click? One thing on the map though - you need lines connecting the circles to each other, I didn't realize you could transfer armies that way. I just clicked. Many many times. Review by Captain Carrot on 12/19/2013.